Have you noticed that Outlook often marks your emails as read, even when you haven’t actually read the email? This occurs because of a setting in Outlook 2013 where an email is marked as read when the selected message in the inbox changes. Essentially, any time a message is highlighted in your inbox, that message will be marked as read as soon as you click on another message. 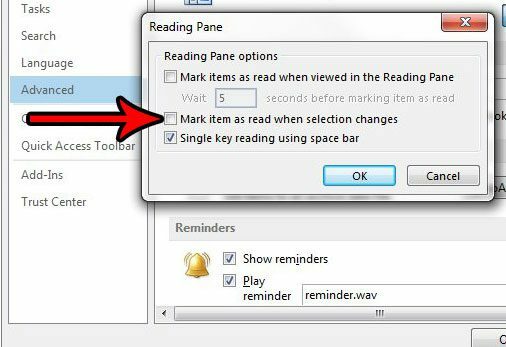 This is fine if you always read your emails in the reading pane at the right side of the window, but you might prefer to mark emails as read manually, or you may find that emails are incorrectly being marked as read, which is causing you to skip them. 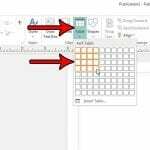 Our tutorial below will show you how to change this behavior so that Outlook 2013 stops marking emails as read when you simply select a different email in your inbox. 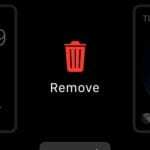 The steps in this article were performed in Microsoft Outlook 2013. 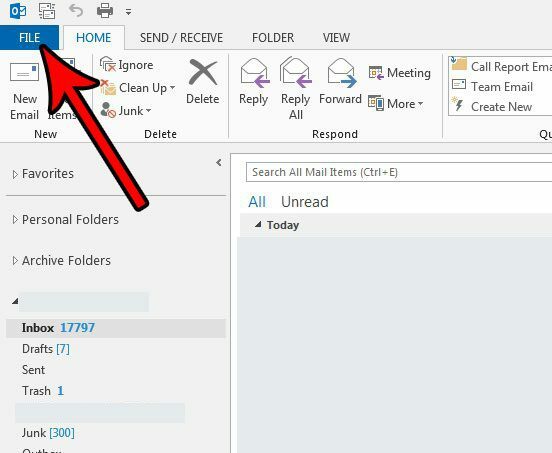 This guide assumes that Outlook currently marks as email as read if you click on it in your inbox, even without opening it, then you click on another email. 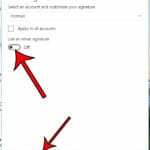 Completing these steps will change that behavior so that the email is only marked as read when you open it in its own window. 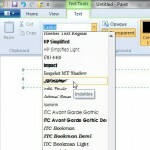 Step 3: Select the Options button in the column at the left side of the window. 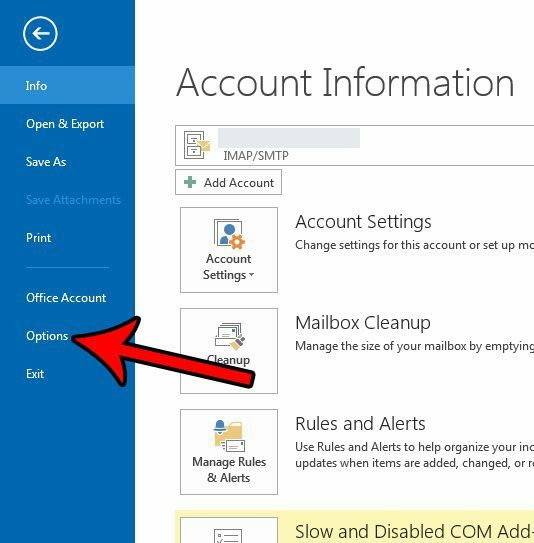 Step 3: Click the Advanced tab in the Outlook Options window. Step 4: Click the Reading Pane button at the top-right of the window. Step 5: Click the box to the left of Mark item as read when selection changes to remove the check mark. 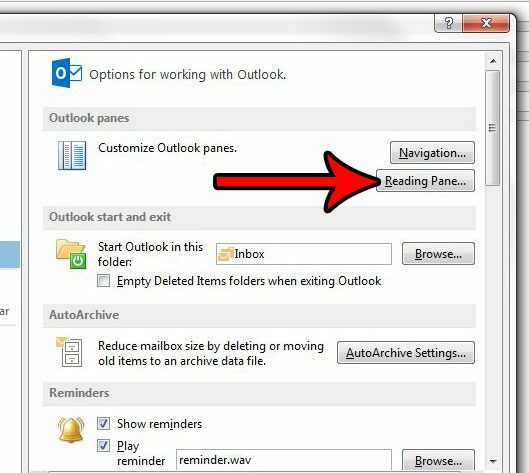 You can then click OK on this window and the Outlook Options window to apply and save these changes. Does it seem like Outlook isn’t checking for new emails as often as it should? 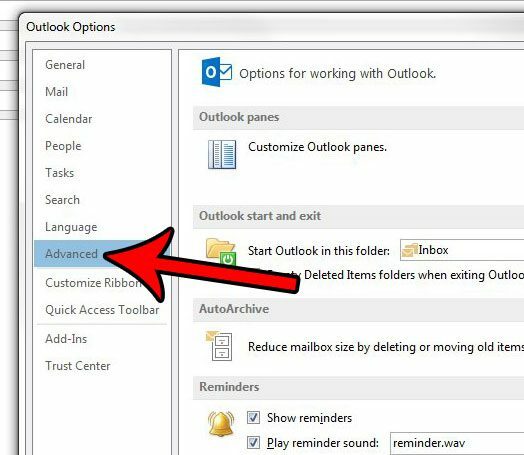 Find out how to change the send and receive frequency in Outlook 2013 and start checking for new emails on a more frequent basis.